We are a research and consultancy business, specialising in mining. We currently offer a package of reports on 100 global mining projects, aimed at mining-service companies wishing to expand internationally. In addition, we work with clients on a consultancy basis, with this work ranging from from providing strategic advice on particular markets, to analysing market trends and assisting clients in pursuing market opportunities. For further information on our services, please contact us at +61 411 478307 or melbourne@resourcesmonitor.com.au. Note: credit-card payments can be made via PayPal - simply press the relevant 'Add to Cart' button(s) below.) You do not need an account with PayPal to use this facility. Hindustan Copper, a government-controlled company, is India’s only copper miner. It is in the initial stages of a major expansion program, at a cost of US$800 million. Currently, Hindustan Copper produces around 40,000 tonnes of copper per year. The company plans to increase this to around 200,000 tonnes by 2025. 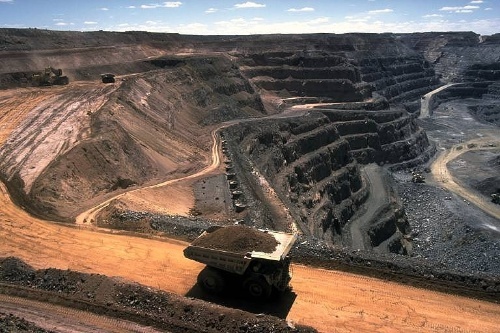 Construction is underway at a major new underground mine in the state of Madhya Pradesh. Yet to come are expansions at its operations in the states of Jharkhand and Rajasthan. Hindustan Copper’s production of 40,000 tonnes is only a small proportion of the 650,000 tonnes that India used last year domestically (e.g. in the electrical, construction and transport industries). Imports, mainly from other Asian countries, make up the main part of the market. Imports comprise both copper metal and copper concentrates, with the latter refined in India to produce metal. The projected increase in annual domestic consumption, from 650,000 to 1 million tonnes, represents an increase of 50%. Such an increase is commonly expected by analysts. But even with the strong increase in production by Hindustan Copper, imports increase strongly too (from 610,000 to 800,000 tonnes per year). These figures are rough-and-ready. But they illustrate India’s dependence on imports. This dependence may prove to be expensive, on two grounds. The first relates to future copper prices: many analysts see a steady increase in coming years, reflecting falling grades and only a limited number of major projects on-the-drawing-board globally. The second relates to a problem faced by Vedanta Resources, one of the country’s two refiners using imported copper concentrates. Last year, its refinery in the southern state of Tamil Nadu was closed by the state government on environmental grounds. The company has been since locked in legal battles with the state government, with these still to be resolved. As a result of the refinery’s closure, imports of copper metal have increased strongly in the past year, at the expense of cheaper concentrate imports. This will continue if the conflict is not resolved. Copper consumption per capita in India is low by world standards – for example, it is less than 20% of that in China. A low-cost copper industry is important for India’s overall economic development. This will not be achieved while local mining remains limited and local refining disrupted. Hindustan Copper’s mining expansion is one of the projects covered in our global mining service.